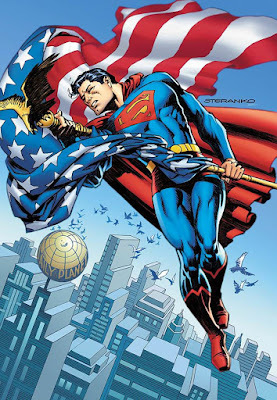 The visuals of Jim Steranko's story in Superman #400 are forever burned in my mind. The boldness of this cover shows that Steranko hasn't lost a lick of drawing ability over the years. Never the most productive artist, the sheer presence of his figures has always been just enough to capture the imagination and the iconic pose here, the Man of Steal with the American flag, captures the essense of the character in a way that we just don't see that much of anymore. Heroic and patriotic, Steranko's cover is a throwback to the time when Superman was clearly linked to "truth, justice, and the American way." *** Iron Circus Comics brings diversity to the comic book market (The Chicago Tribune)-- Cheryl V. Jackson talked to C. Spike Trotman about her publishing empire. *** Can This Man Save Superman? (The New York Times)-- The NYTs spotlights the upcoming Bendis run on the Superman titles but the headline seems to be a bit flawed. Does Superman really need to be saved? Anyone who approaches the future of Superman as if the character was broken hasn't been checking out the Superman comic by Peter Tomasi and Patrick Gleason. 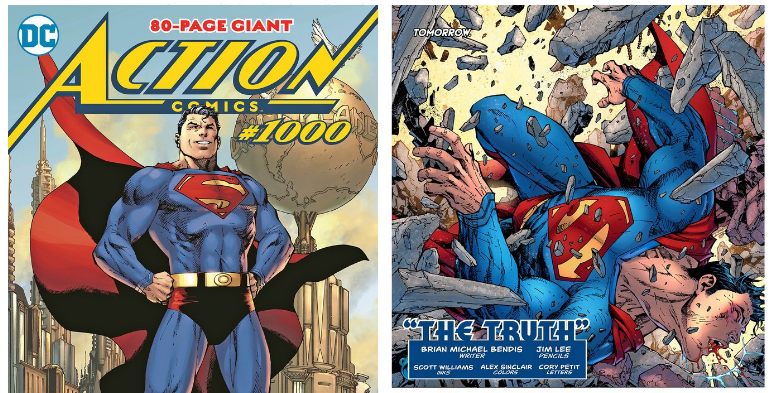 “When you strip everything away on Superman you’re basically stripping away all the ridiculous stuff and getting to the real truths,” Mr. Bendis said. “It’s about making your own family versus the family you’re born with, about finding out who you are versus where you were put." ***The first page of X-Men: Grand Design, with author and artist Ed Piskor's commentary (Boing Boing)-- At the site that serialized his Hip Hop Family Tree, Ed Piskor is running a commentary on the opening pages of his X-Men: Grand Design. 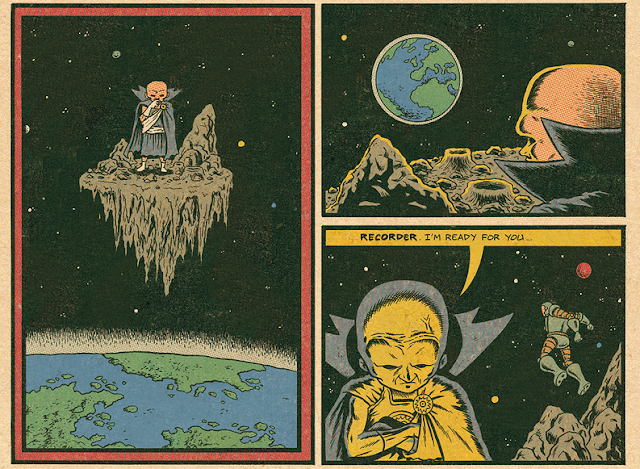 Panels 1 & 2 are silent because I want the reader to decide the exact amount of time that Uatu has been standing on that rock observing the happenings on Earth. The time that transpires between panel 1, 2, and 3 can be seconds, minutes, years, decades, centuries, millennia, etc. Your call. 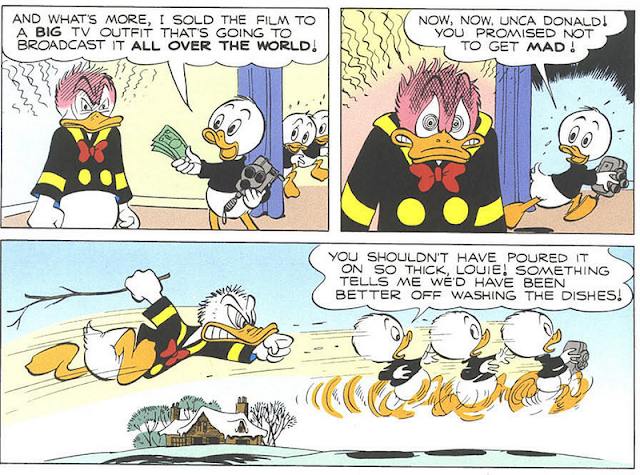 This illusion would have been destroyed if I had any dialogue in those panels as it would imply that the image exists as a moment that lasts only as long as it takes to read the text within.